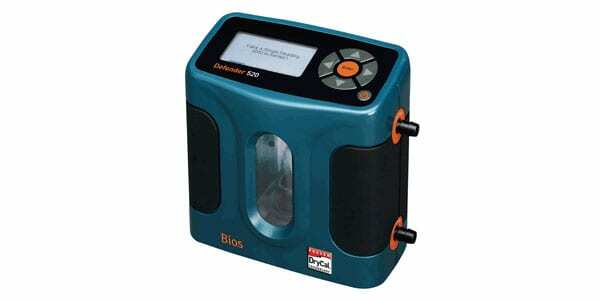 The Bios Defender 510 Flow Meter lets users easily calibrate air sampling pumps. Users can take continuous or timed interval hands-free readings while accurately setting instrument flow rates, including volumetric and standardized flow. Complete calibrations within a minute without the need for soapy bubble solutions to clean up. Measurements are automatically compensated by the integrated temperature and pressure transducers. The Bios Defender 510 Flow Meter is lightweight and compact, incorporating the industry leading DryCal technology.